Robert Schuller is the founder of and the man behind the international Crystal Cathedral Ministries, the organization which sponsored the weekly television series, "The Hour of Power", one of the world's most widely seen television-based church services. The Crystal Cathedral was the name of a massive church building with a unique, ultra modern architectural style. It is located in Garden Grove, California, which is located in the greater Los Angeles area. The cathedral seated close to 3,000 people, so it qualifies to be called a super church and it became the home of a mega congregation. The weekly "Hour of Power" television program was shown all over the world and it is estimated that as many as 30 million people view it every week. Who is Robert Schuller? How was he able to build such a super church and highly successful weekly television program? Robert Schuller was born in Alton, Iowa on a farm run by his Dutch-American parents. The Schuller family attended the historic Reformed Church of America, formerly called the Dutch Reformed Church, the oldest Protestant denomination in North America. After graduating from Newkirk High School in Iowa, he entered Hope College in Holland, Michigan. Upon graduation from Hope College, Schuller decided to enter the ministry and enrolled at Western Seminary, one of the Reformed Church of America's seminaries, also located in Holland, Michigan. After graduation from Western Theological Seminary in 1959, he was ordained in the Reformed Church of America and was assigned to a church in Chicago, called the Ivanhoe Reformed Church. He remained in that congregation for five years, until 1955. When he became a minister in the Ivanhoe church it had 38 members. During Schuller's five year stay the congregation grew to 500 members. With such success he was given the opportunity to try to establish a church in Garden Grove, California, a growing area where a Reformed Church had not yet been established. When he arrived in Garden Grove, California, he found that there were only two families who had been affiliated with a Reformed Church congregation before. So instead of calling the Garden Grove church a Reformed Church he decided to call it a Community church. There, of course was also no church building. He had $ 500 with which he was expected to rent a building. But Schuller, apparently liking the nice California weather, decided to rent a drive-in movie theater instead. After all, drive-in theaters are closed on Sunday mornings anyway, and he probably felt that he would be able to rent the facilities at a reasonable rate, a rate which his meager budget could afford. So that's how the Community Church under Schuller's leadership was established in Garden Grove, California. The drive-in concept worked for five years. The church grew and in 1960 the congregation was able to move into their own church building. The Garden Grove congregation remained in their first permanent church for about 20 years, even though it kept growing. Schuller had a strong interest in architecture and wanted to build a unique and architecturally pleasing, but also inspiring church. From this emerged the idea for the Crystal Cathedral. Schuller commissioned the renowned architect Philip Johnson to design a new building. And from this emerged the current Crystal Cathedral which was dedicated in 1980. Schuller is more than just a preacher. He is also active in numerous other educational and counseling areas. In 1968, he founded New Hope, a church-sponsored counseling and suicide prevention hotline. Since its inception, about one million people have contacted the hot line to receive counseling. In 1970, Schuller opened the Robert H. Schuller Institute for Successful Church Leadership. More than 20,000 students from both Protestant and Catholic denominations have graduated from the Institute. And in 1992, the Fuqua International School of Christian Communication was opened. Schuller serves as chancellor of the school where ministers from all over the world hone their preaching skills. Schuler is the author of over 30 books, six of which have made the New York Times and Publishers Weekly Best Seller lists. Although he has recently become an octogenarian he remained active on his weekly "Hour of Power" television church service series. The question must be asked why Schuller has been so enormously successful at building the "Hour of Power" ministries. The answer is that he is an enormously charismatic and magnetic preacher. He is a pleasure to watch for any one interested to learn about communication. He has the ability, or rather a gift, to connect with the listener. There is no question that he will be missed, especially on the "Hour of Power" series, when the day comes that he has to give up the demanding task of doing his weekly sermons. It will be difficult for the "Hour of Power" to find a replacement who will be as dynamic as the present incumbent. As mentioned above, finding a replacement for Schuller became a serious problem. There also appeared to be some family disagreement on who would become the replacement pastor for Schuller. At the end of 2010, the news of financial problems at the Crystal Cathedral became national news. And the financial problems apparently were related to the succession problem. The Crystal Cathedral and the "Hour of Power" had to cut back spending significantly, and in early 2011 there still was no clear plan for the organization to return back to normalcy. Later in 2011, the Crystal Cathedral went bankrupt and lost ownership of the building, which was purchased by the Catholic diocese of Orange County. In February 2012, the congregation apparently continued but had to find other accommodations for their services. 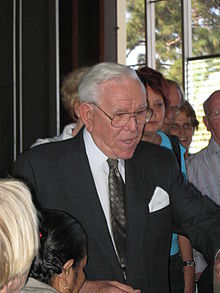 Robert Schuller is married to the former Arvella DeHaan. They have five children, four daughters and one son. They also have 17 grandchildren. Their son, Robert A. Schuller, is following in his father's footsteps, and is also an ordained minister in the Reformed Church of America. He was expected to become the successor to his father and was a co-minister in the Crystal Cathedral until early 2010. Unfortunately, the son Robert A. Schuller did not have the charisma and communication skills of his father. He was dismissed from his position as co-minister of the church. His sister, Sheila Schuller-Colman was the church's minister as of early 2012. The church was able to retain the title "Crystal Cathedral', and continued its "Hour of Power" television series, on a modest scale. Robert Schuller passed away on April 2, 2015 at Artesia, California. He was able to remain in California after he gave up his preaching duties several years earlier. "I told them that if any of the young men present had a great desire to fight, they might come forward now..."